On May 26 and 27, Taormina, – one of the Mediterranean’s most suggestive towns – will host the Heads of State and of Government for the 2017 G7 Summit. The decision to hold the event in Sicily – and in particular in Taormina - highlights our capacity to unite hope and hospitality in a single shared effort. Located on a natural terrace overlooking the sea, this Sicilian city is considered one of the world’s most beautiful. The fascinating medieval village, with its ancient history and its cultural heritage have always attracted travelers, aristocrats, artists and writers: from Goethe to D.H. Lawrence, from Truman Capote to Jean Cocteau, from King Edward VII of England to Tsar Nicholas I of Russia. 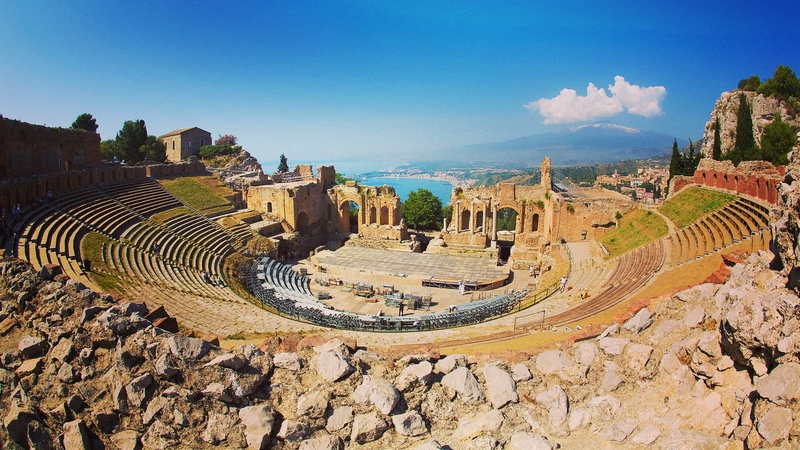 The ancient Greek Theater is one of Taormina’s most suggestive sites. From here, the visitor can see as far as the Calabrian coast, the city of Syracuse, and the peaks of Mount Etna. The theater also hosts numerous cultural events, including the world-renowned Film Festival. 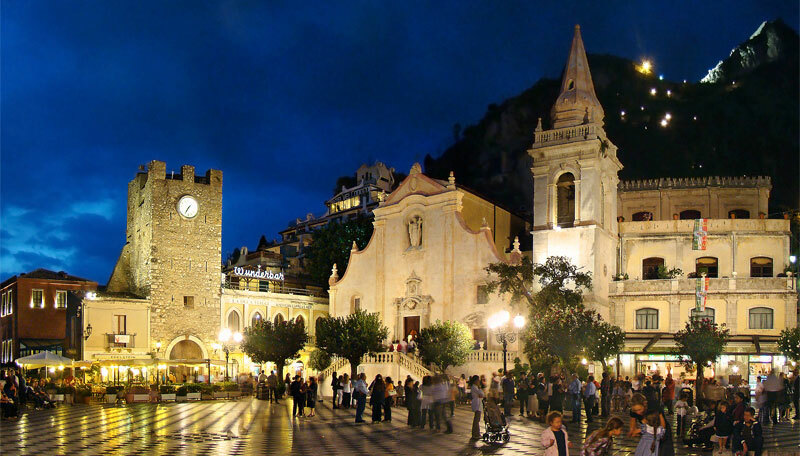 The medieval center of Taormina includes Palazzo Corvaia and the seventeenth-century Church of San Pancrazio, the ancient Odeon Amphitheaterand the Church of Santa Caterina d’Alessandria. Piazza IX Aprile, with its panoramic view, is the heart of the city. The Porta di Mezzo, under the seventeenth-century clock tower, leads to the medieval center with Roman and Gothic buildings, while the Palazzo Duchi di Santo Stefano and Palazzo della Badia Vecchia were built in the Norman era. Beautiful beaches line the coast: Giardini di Naxos, Mazzarò, Letojanni, and Isola Bella, a tiny protected area in the Taormina bay, are the most popular.